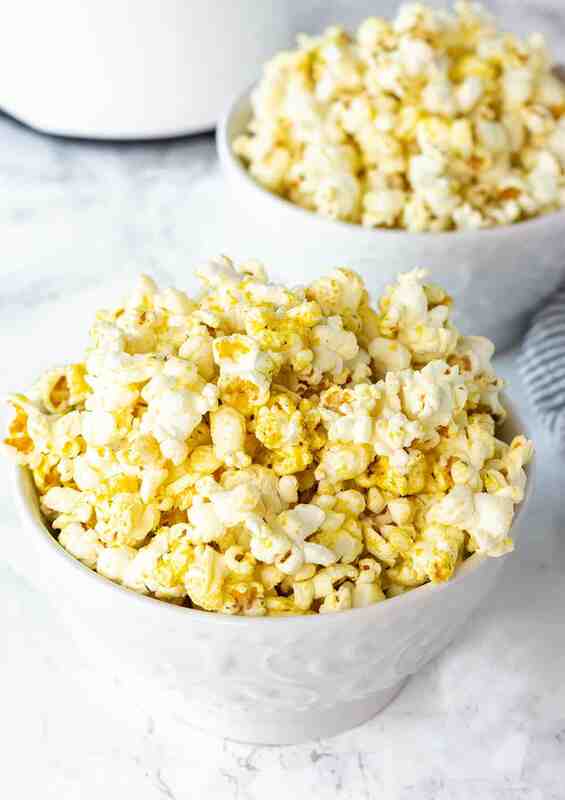 This amazing Vegan Popcorn is so easy to prepare and so indulgent. Air popped popcorn, seasoned with nutritional yeast flakes and herbs will be a huge hit at your next party! This is the perfect vegan, gluten-free treat that is healthy, kid-friendly and loved by all. It is cheesy, butter-free, dairy-free and addictive! Made with the most flavorful vegan popcorn seasoning ever. I have been making vegan popcorn with nutritional yeast flakes or 'Nooch' for many years now, it gives popcorn a cheesy taste. I sold my nutritional yeast flakes popcorn at local stores and farmers markets when I lived in Virginia and they were always sold out! 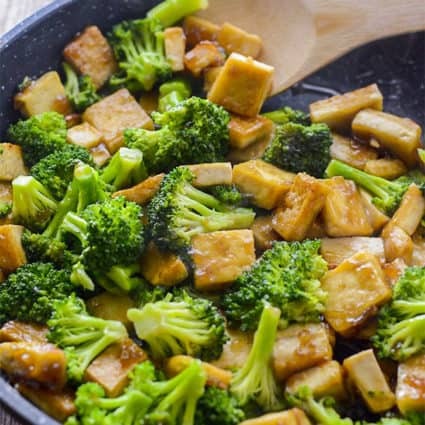 Nutritional yeast is deactivated yeast that is popular in vegan cooking. 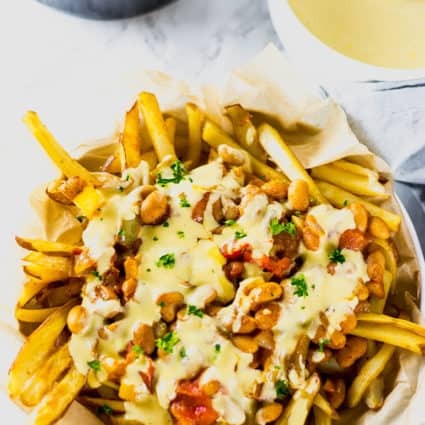 It gives a cheesy taste to some foods, nutritional yeast is nutty, cheesy and salty. It is sold in health food stores as yellow flakes or powder. Nutritional yeast is vegan, gluten-free and dairy-free. It has B Vitamins, selenium, zinc, protein, folic acid. How To Make Vegan Popcorn? 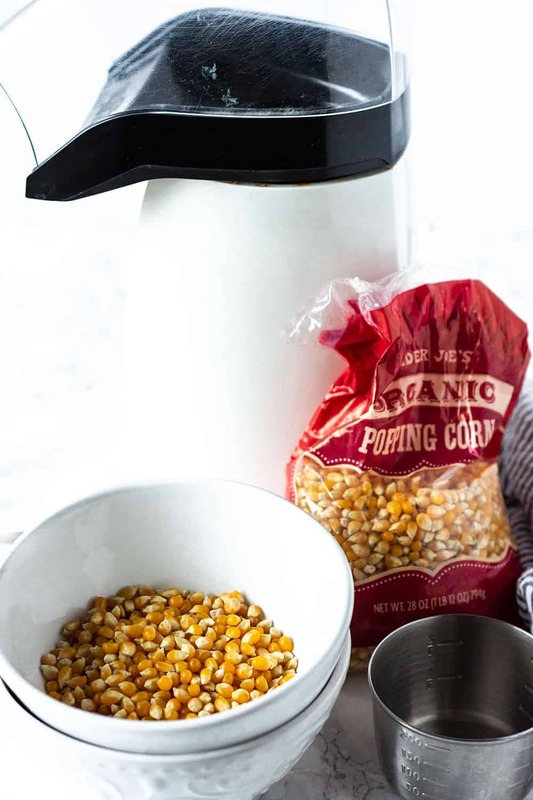 You can easily prepare your popcorn on top of the stove or use a hot air popper in minutes. Heat oil on medium high heat in a large saucepan, make sure you use a heavy bottom saucepan. Add 2 kernels of popcorn to the saucepan, cover and allow them to pop. Transfer the pan from off the stove, remove the 2 kernels. Add corn kernels to the saucepan in a single layer, cover the saucepan, allow the saucepan to sit for about one minute. Return saucepan to the stove on high heat. Shake the saucepan from side to side as the popcorn begins to pop. 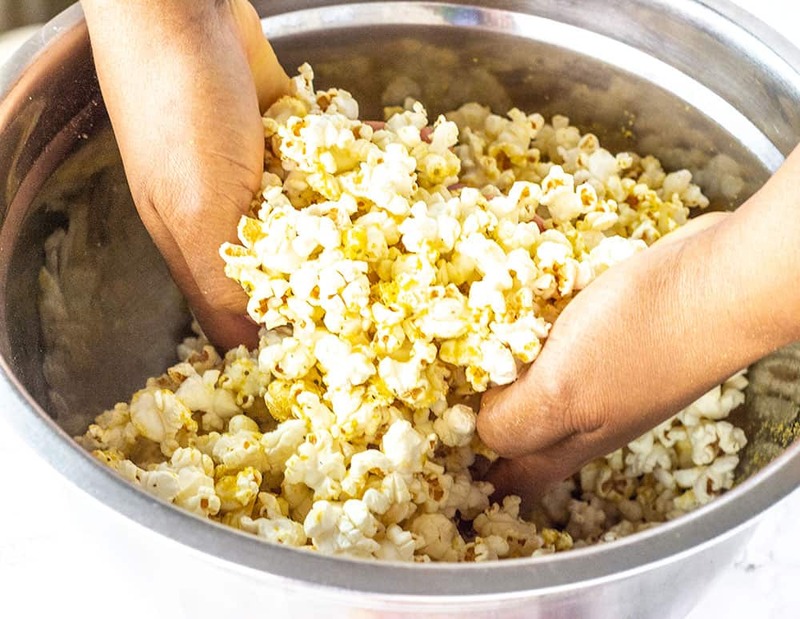 Once the popping is slowing down, remove saucepan from the heat and allow the remaining popcorn kernels to pop. Pour popcorn in a large bowl, toss with seasonings. Gather equipment - air popper, large bowl. Gather ingredients- popcorn, olive oil. Combine nutritional yeast flakes, garlic powder, onion powder, dill, celery seeds, salt.in a bowl and set aside. Measure popcorn kernels using the measuring cup that comes with the machine or your own and place the kernels into the top of the machine. Place the plastic guard and the measuring cup that fits into the plastic guard (if one comes with it) on the machine. Plug in hot air popper machine. Wait for the popcorn kernels to pop. You will see the popcorns coming out of the machine into the bowl. Once the popping has finished, unplug the machine. Toss popcorn with olive oil and seasonings. 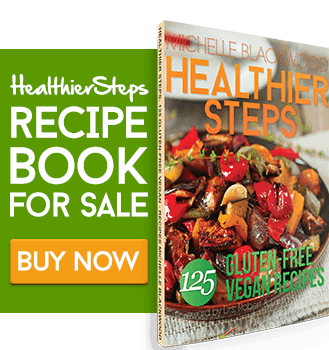 If you make this vegan popcorn recipe, snap a photo and hashtag #healthiersteps — we love to see your recipes on Instagram, Facebook & Twitter! Pop the popcorn in your hot-air popper into a large bowl. 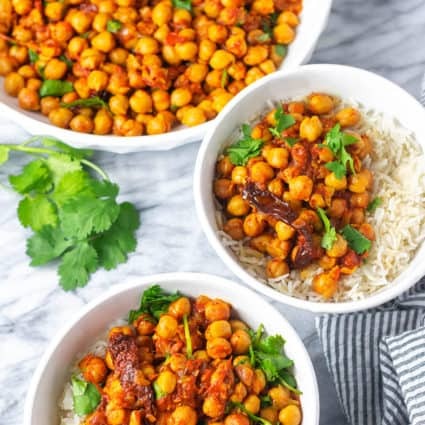 Combine nutritional yeast flakes, garlic powder, onion powder, Italian seasoning, dill, celery seeds, salt and cayenne pepper in a bowl and mix well. Nice combination of flavorings! I’ve long been a fan of popcorn with olive oil and nutritional yeast, but this set of spices kicks it up a notch. Thank you! Chessie, I’m happy you tried it and enjoyed it. Thank you for your feedback. OMG!! This is the recipe I’ve been waiting for! Thank you for such detailed instructions. Thank you Sandy, hope you enjoy.